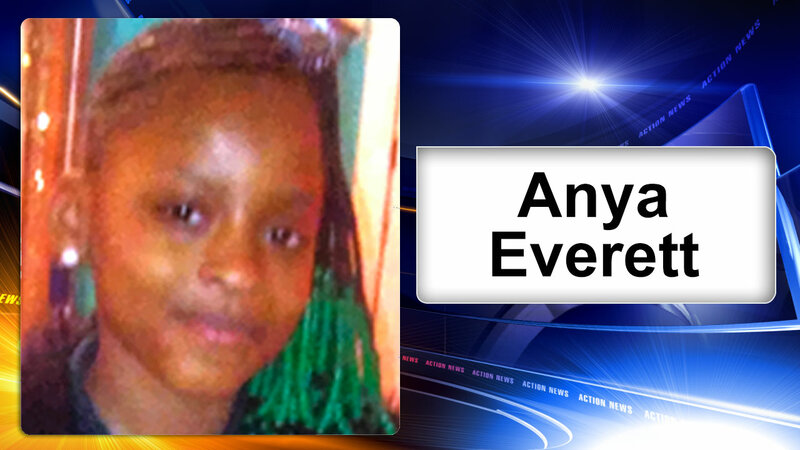 COBBS CREEK (WPVI) -- Police say a 9-year old girl reported missing Sunday from the Cobbs Creek section of Philadelphia has been found. Anya Everett was reported missing at 5 p.m. Sunday, last seen in the 5900 block of Addison Street. She was found at 8:22 a.m. Monday at 60th and Addison streets. There were no immediate details given about her condition or the circumstances under which she was found.